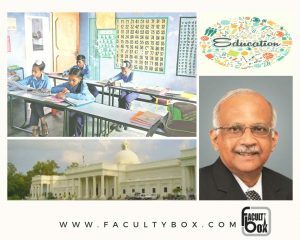 FACULTYBOX-WEEKLY is a weekly news bulletin that has been launched by Facultybox, providing top trending news and articles in order to help faculties and students to have an overview of important things happened during the week. Here is the top Trending News of the week. Check out the top trending news regarding Higher Education System. A minimum of 33% marks in both theory and practical combined is required to get passed in CBSE ( class 10th ) examination. CBSE has recently announced that it is decreasing the minimum marks for the class 10th exams. I am mathematics Jee mains faculty.. If any vacancy is available then let me know. I have 1.4 years experience.